The Avengers...IN SPACE! 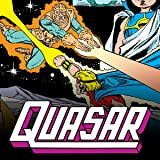 When Quasar intercepts an alien distress call, he finds a Rigellian colony completely destroyed and Jack of Hearts in a coma. 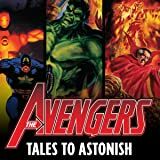 Summoning a ragtag team of Avengers to investigate, Quasar and company are suddenly attacked by a horde of robots whose goal is to destroy the planet itself! And that's just the beginning of the ad hoc Avengers' troubles, as a planet-sized alien suddenly appears and begins reshaping the decimated world for its own mysterious ends. Who are the Infinites? 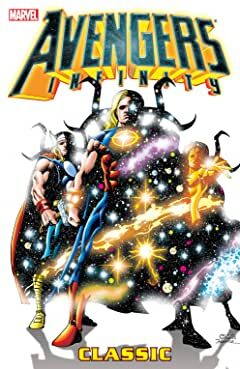 What cosmic force could possibly play with planets as if they were toys? And what unknowable goal drives them to rearrange the entire universe? 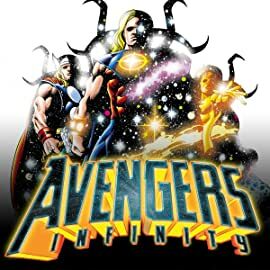 The Avengers must go all the way to the top to learn the truth, and that means contacting Eternity itself! 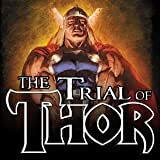 Starring Thor, Tigra, Starfox, Moondragon and Monica Rambeau! The all-ages, action-packed prequel to the Avengers movie is here! 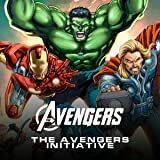 Meet the incredible cast of the Avengers Initiative! The perfect introduction to The Avengers movie coming out in May 2012!